BEXAR COUNTY EMERGENCY SERVICES DISTRICT NO. 11 – A taxing entity created by voters on May 10, 2008 to levy taxes on its citizens residing within the District and utilizing those funds to pay a Service Provider for fire protection. ESD No. 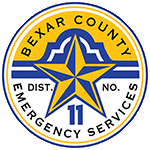 11 is one of eleven Districts formed to provide fire suppression and first responder services within set boundaries in the unincorporated areas of Bexar County. We do this by levying taxes on the citizens that live within the District's boundaries and using these funds to contract with the City of Kirby to provide fire protection and first responder services. 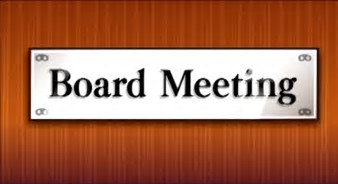 Our meetings are scheduled on the third Thursday of each month. They begin at 6:00 P.M. and are held at the Bexar County ESD No. 11 Fire Facility located at 4511 Texas Palm Drive, Converse, Texas 78109. We will be coordinating with our Service Provider over the next few months if we can tentatively schedule quarterly training for our citizens to attend and learn basic first aid and how to perform CPR. Please visit our website often to see when this training gets scheduled.